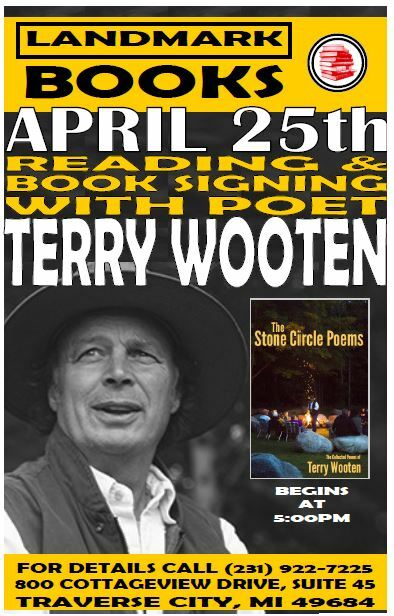 Landmark Books is proud to host a special reading and signing with poet and founder of Stone Circle, Terry Wooten Saturday April 25th at 5:00PM as we close out National Poetry Month. For the past three decades he has continued the tradition of the Bard taking poetry to the schools, libraries and festivals across the country. Terry Wooten is a native of Northern Michigan, and attended college at Western Michigan. In 1980 he met well known Michigan poet Max Ellison who introduced him to the oral tradition of poetry and he hasn’t looked back. He is the author of over a dozen books of poetry dating back to 1978. Wooten is a two-time recipient of Michigan Creative Artist Awards, as well as having been listed in the Michigan Arts and Humanities Touring Directory, and his Elders Project was awarded the 2013 State History Award in Education from the Historical Society of Michigan. Terry’s latest book, “The Stone Circle Poems” was published by Parkhurst Brothers Publishing and collects many poems which span his career in writing and performing. It is 264 pages of poetry that explore favorite themes ranging from nature and history to life experiences. This well reviewed book has been a best seller in the area and this event is a rare opportunity to meet the author and get a copy of his book signed. 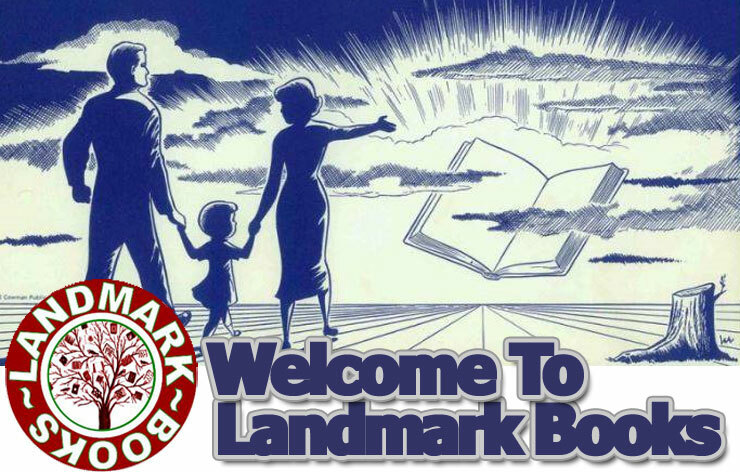 We hope to see you Saturday, April 25th at 5:00PM at Landmark Books for the reading and signing. For more information feel free to call 231-922-7225.